Actress Jennifer Garner is the cover star of People magazine’s annual Beautiful Issue. Britney Spears promised to be “back very soon” as she moved to reassure fans concerned over her well-being. The Duke of Cambridge will honour the victims of the Christchurch mosque attacks as he arrives in New Zealand for a two-day visit on behalf of the Queen. Celtic left-back Kieran Tierney expects his fellow supporters to pay a fitting tribute to Billy McNeill on Saturday. Giant-killer James Cahill set his sights on winning the Betfred World Championship after his stunning first-round win over world number one Ronnie O’Sullivan. Islamic State has claimed responsibility for a series of terror attacks in Sri Lanka which killed at least 359 people including 45 children and eight Britons. Taylor swift and Emilia Clarke were among the stars pictured at the Time 100 Gala. Nicola Sturgeon is to reveal more about when a second vote on Scottish independence could take place in a “substantive” statement to MSPs. 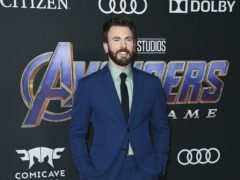 Avengers: Endgame has been hailed the “perfect goodbye” as the first reviews arrive for Marvel’s superhero epic. North Korean leader Kim Jong Un arrived in Russia on Wednesday morning ahead of his much-anticipated summit with president Vladimir Putin.